The Florida Department of Transportation announced the overnight closures of some of the entrance and exit ramps to Orangewood and Universal Boulevards. Both roads share the same exit, with Universal Boulevard running north from the Beachline Expressway, while Orangewood Boulevard runs to the south. The road closures will impact the southbound lanes of Universal/Orangewood Boulevard at the Beachline Expressway interchange, where construction crews are setting beams as part of a road widening project. 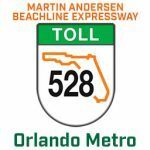 As a result, drivers traveling southbound on Universal Boulevard will not be able to take the eastbound entrance ramp for the Beachline, and drivers traveling westbound on the toll road will not be able to exit to the southbound lanes of Universal/Orangewood Boulevard. The closures are scheduled to last overnight Wednesday into Thursday morning only. 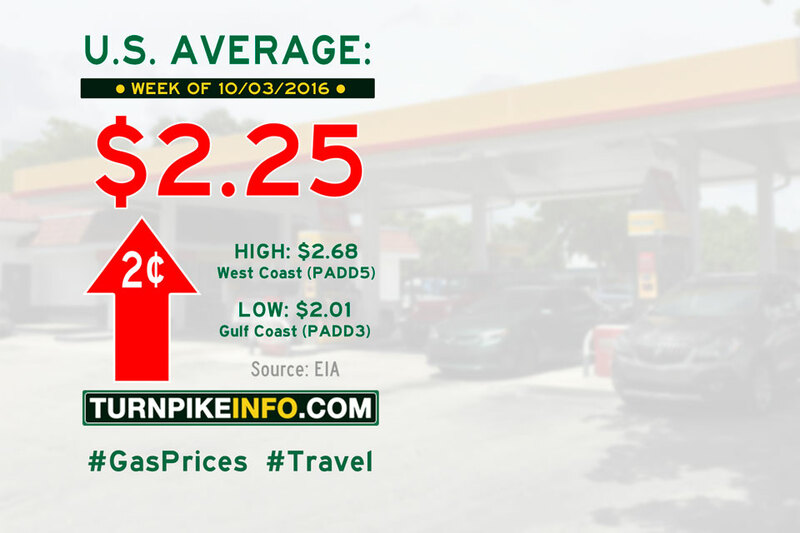 Fort Lauderdale, FL – The cost of filling up the tank jumped between two and five cents for most drivers across the U.S. during the past week, according to the latest weekly price survey from the U.S. Energy Information Administration. The weekly E.I.A. report shows the average U.S. price for a gallon of regular unleaded went up about two cents, although the price point, itself, lurched three cents due to rounding. The U.S. average is now $2.25 per gallon. The biggest price increases were found along the Gulf Coast, a region that had enjoyed prices well below $2.00 per gallon, until now. The cost of diesel fell also went up this week, but only modestly. The E.I.A. reports diesel prices, on average, went up about a penny per gallon, although prices were up two cents across the Gulf Coast and New England. The average price of diesel is now $2.39 per gallon. Regional cost averages for both gasoline and diesel are listed below, ranked from highest to lowest price. Note: PADD is an acronym for Petroleum Administration for Defense Districts. The Port Authority of New York and New Jersey has announced the Bayonne Bridge will be closing weekdays this week to accommodate continued construction, as part of the Navigational Clearance Project. Bridge closures will affect all traffic across the bridge between the hours of 9 a.m. to 3 p.m. through Friday this week, and overnight closures on the bridge will affect traffic from 7 p.m. until 5 a.m. until Friday morning. 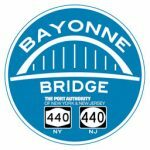 Officials with the PANYNJ plan to keep the Bayonne Bridge open through the Columbus Day weekend, beginning at 3 p.m. this Friday, October 7. The Bayonne Bridge is currently undergoing a multi-year reconstruction that will raise the span to accommodate larger sea vessels. The Raise The Road Project, as it is dubbed by the port authority, is scheduled for completion in 2019.